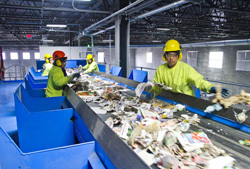 Material Recovery FacilityMaterial Recovery Facility - Learn about our recycling equipment and recovery facilities. Municipal Solid Waste RecyclingMunicipal Solid Waste Recycling - Visit our Page! Single Stream RecyclingSingle Stream Recycling - Separation equipment for plastic, glass, aluminum, steel, and fiber. Waste to EnergyWaste to Energy - We specialize in waste recycling equipment. Construction & Demolition RecyclingConstruction & Demolition Recycling - Learn how our waste recovery systems help the construction and demolition industry increase diversion rates. e-Waste Recycling Equipmente-Waste Recycling Equipment - Our waste management systems helps recycle and recover e-waste materials. 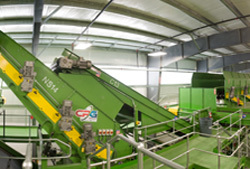 Recycling EquipmentRecycling Equipment - Read about our recycling sorting separation systems equipment. SystemsRecycling Sorting Systems - We are the leading recycling equipment manufacturerer. EquipmentRecycling Sorting Equipment - Use our material recovery facilities for glass, aluminum, paper, steel, e-waste, and more. EquipmentOptical Sorting Equipment - Our separation equipment systems have the fastest optical sorters. Aluminum Can Recycling MachinesAluminum Can Recycling Machines - Glass crusher and can recycling machine products. CompanyCompany - See why we are the leading recycling equipment manufacturer. ServiceService - Our material recovery facilities are backed by the best service in the industry. PartnersPartners - Our partners in the material recovery and recycling industry. Contact UsContact Us - Contact the leading recycling equipment manufacturer today. 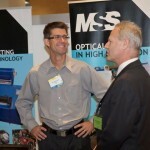 Signup to receive insightful information, industry news and information about our latest technologies. No one says it better than our customers! Hear what real customers are saying about our exceptional service, machine quality and delivery on expectations! The McMRF is our affordable small single stream sort system, designed to process and recover materials at about 10TPH for smaller communities. 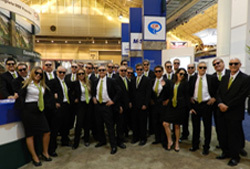 Copyright © 2012 CP Manufacturing, Inc.